Is your bathroom in need of some TLC? 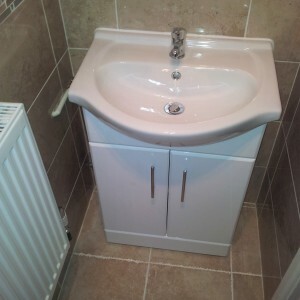 We offer full bathroom installation serices. Let us transform your Bathroom, En-suite or Cloakroom. Project: Cloackroom refurbisment – Client has asked to completly renovate downstairs cloackroom. 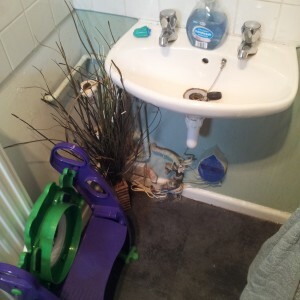 Complete removal of original tiles, basin and toilet and installation of new wall and floor tiles, new basin unit and toilet. 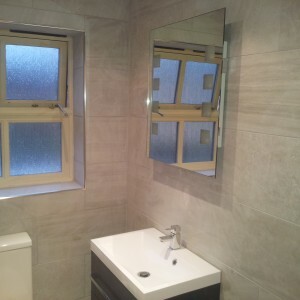 Project: Master bathroom refurbisment – Client has asked to completly modernise master ensuite bathroom. 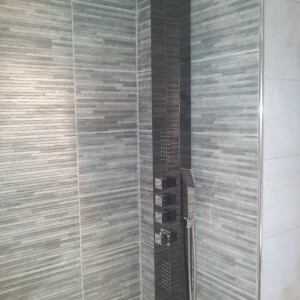 Complete removal of original tiles, basin, toilet and shower and installation of new wall and floor tiles, new basin unit, toilet, shower and shower enclosure. 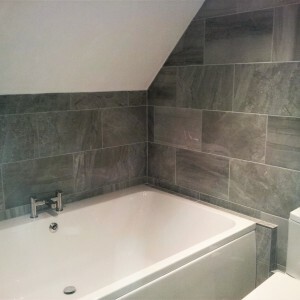 Project: Family bathroom refurbisment – Client has asked to completly family bathroom. 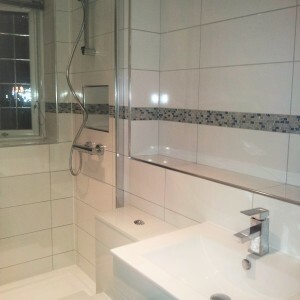 Complete removal of original tiles, basin, toilet and bath and replace bath with large shower tray and glass enclosure. 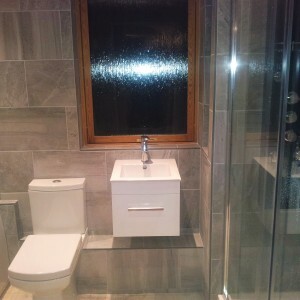 Project: Large ensuite bathroom refurbisment – Client has asked to completly remodel master ensuite bathroom. 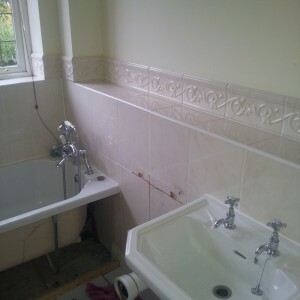 Complete removal of original tiles, basin, toilet and shower and installation of new wall tiles, toilet. Installation of new shower stud wall and shower enclosure and large 2 person bath tab. We offer 10% discount for OAP’s and non profit organisations. Contact us for our clients references and images of bathrooms completed. They fitted a new shower pump for me. They extremely helpful from recommending a pump to fitting it. They carried out some mine repairs to my shower trays. Would happily recommend them for quality of service and value for money. Been using these guys for a while, always on time, great quality work and good price, will continue to use and recommend. The have completed several plumbing and handyman jobs for us and we are very pleased. He was pleasant to deal with, reliable, very responsive and conscientious. Have already recommended to others.